While Raiders of the Lost Ark is clearly a juggernaut that can’t be stopped, that was a hell of a job by the Blade Runner fans to make this a close contest. 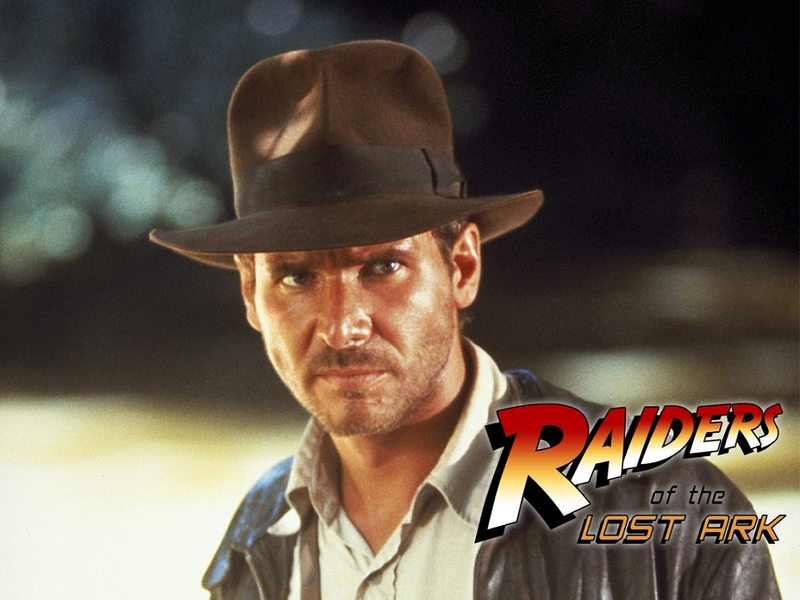 I’m honestly surprised that the Star Wars films didn’t get more votes — Raiders of the Lost Ark received nearly twice as many votes as the Star Wars trilogy combined! This Week’s Poll: Changing gears this week. Tom Cruise’s sci-fi film, Oblivion, won out at the box office over the weekend, and we have already covered his career before. Let’s discuss video games instead — what is your favorite era for gaming? Are you an old-school NES fan who wishes for the early days of Mario, Contra and Castlevania? Do you prefer the SNES/Genesis era and their impressive selection of RPGs? Or perhaps you are enjoying the latest generations? Let’s hear your thoughts. Totally SNES. I have a console at home that gets routine action! Hook that up and then get Super Mario All Stars, you’ll thank yourself later! Oh yeah, I still own Super Mario All-Stars! Best anthology ever. Wow! As you say, it’s a big surprise that Star Wars received so few votes in comparison to Indiana Jones. I love Raiders of the Lost Ark. Think its one of Harrison Ford’s best films. The first Indy film is still the best and I always enjoy watching it. Nice to see Blade Runner and Empire Strikes Back in 2nd and 3rd place as well. Completely agree about Raiders of the Lost Ark. I think the Last Crusade is up there in terms of quality, too, though I didn’t care much for Temple of Doom. Awesome post! I still prefer Blade Runner over Indiana Jones. Out of the poll I really cannot choose, because I really enjoyed seeing how video games have evolved from when I came in on arcade machines and Pong (the home console before Atari) when I was really young to Atari, etc. So trying to pick an era is really tough for me, especially seeing the different innovations that have come and gone. I remember first seeing Dragon Slayer, seeing Time Traveler, even the hits and misses on the consoles over time. Sorry, it is a bit of the nostalgia and the enjoyment the whole of it for me for the stuff from the past and the current things. There are some things I am really looking forward to outside of the main console companies and how things pan out. Oh, I know exactly what you mean. I have fond memories of most eras — I grew up playing Jazz Jackrabbit, Doom, Wolfenstein 3D on PCs and Mario, Contra, etc on NES — and I fell in love with video games all over again with this new generation. I’m not too excited about the next era yet, but I’m sure it will have its fair share of great moments as well. I think that is what makes it cool. Is that it something to everyone, and means something different and the same to everyone. I like seeing all of the different things, playing the different games. You don’t just have to be a fan of one particular console, era, or generation. I think what I would like to see with these new independent consoles is maybe a chance to go back and replay the games that we love without having to fork out over a fortune to either buy or re-buy everything, nothing against anyone who loves collecting, but I would like to be able to maybe play a game I once enjoyed as a kid or be able to try a game that someone else has mentioned that they have enjoyed and maybe see whether or not I might enjoy it as well. Maybe something where the gamer has more say in what they want to play than the publisher/company. I would love to play Guardian War and Captain Quazar again without having to hunt down and hope I can afford to buy another 3DO console. There is just so much. I am really looking forward to the open source consoles and maybe see what they actually have to offer FOR the gamer and experience. Oh yeah, some of these open source consoles have the potential to be huge for reviving old classics. I think the Ouya is shipping with a SNES emulator, which is interesting from a legal standpoint. What’s amazing is that there are so many great emulation options these days; if you really wanted to, you could turn a PC into an all-in-one system with access to basically every console ever made. Hell, there are websites that let you play 8-bit and 16-bit games right in your browser. Ten years ago, knowing that it would be so easy to play old favorites would have blown my mind. Of course, it’s not the same as using the actual cartridge/CD and holding the real controller in your hand, but it’s a good (and much more affordable) substitute. I can’t vote! I was big on PC gaming. Well, I had a Commodore 64, Atari, Sega Mega Drive and the likes, but it wasn’t until I got an Amiga did I really get into gaming. Loved that computer. From then on it was PC gaming. I do have a Wii now, but it’s very much for casual-when-friends-come-over gaming. Ahhh I guess I made too hard of a poll because it is stumping everyone. 😀 No, I know where you’re coming from. It’s hard to pick because every single generation has its fair share of classics, even the new systems. Wahoo!! I voted for the first two and they won, that almost never happen, ahah. Indy is definitely Ford’s BEST and most watchable role! I was the Tempest king. Glad to see that Indy won. I think, most will agree Star Wars is the overall more ambitious (and more popular) films, but speaking strictly as a vehicle for Ford, Indy carries the day…. Also, I no love for The Frisco Kid? Yeah, I’m with you on Indy. I haven’t seen The Frisco Kid, but I guess it did have some pretty stiff competition.